I had wanted to go see the Generalissimo’s former summer home after my professor at Zheng Da explained to me that Chiang Kai-Shek has never been buried. Instead, his preserved body waits in his former home for the day that the “Republic of China” reclaims the China mainland from the “Communist rebels,” at which point it will be given a traditional burial in his hometown. 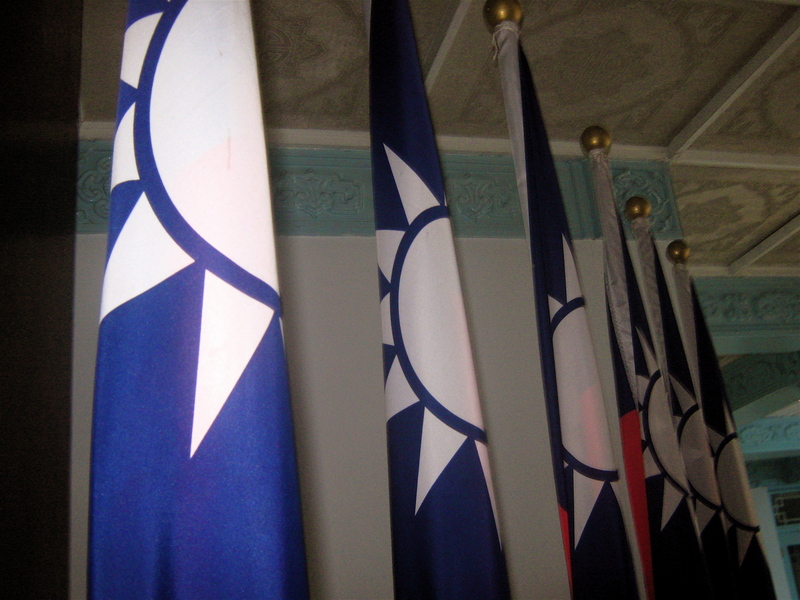 However, the “Republic of China” retreated to Taiwan in 1949, more than 60 years ago, and Taiwan has not had a seat in the United Nations for 40 years. So the pickled body of Chiang may be waiting for quite a while. There has been recent talk of scheduling a burial for him in Taiwan in the last 10 years, but so far, talks have not led to action. 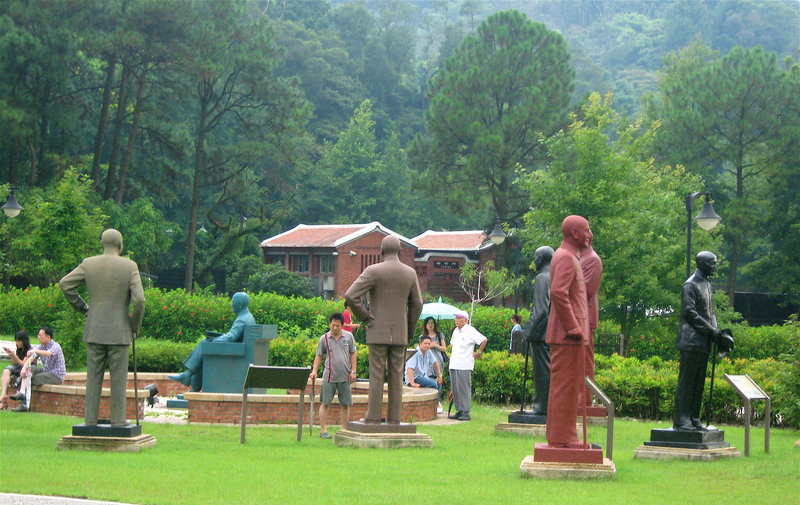 I am working on an article about the visit to Cihu, since it helped me resolve a lot of my very tumultuous personal feelings about Generalissimo Chiang, and his and Chiang Jing-Guo’s campaign to bring down my grandfather Thomas Liao (廖文毅, Liao Wen-Yi), his political independence campaign, and all connected members of his family. I have been to the 228 Museum in Taipei, and seen Thomas Liao’s name on the arrest lists from 1947, because of his work on the magazine Vanguard (前鋒, Qian Feng), which criticized the KMT government. After the 228 Incident, my grandparents’ apartment in Taipei was ransacked by KMT soldiers, my grandmother and her children were harassed and traumatized. Suffice it to say I am not Chiang’s biggest fan, but this year has helped me put him in the context of Taiwan’s history and China’s history. I understand now, that though both the KMT and DPP political parties and politicized historical accounts seek to keep him larger than life– as a God, a role model, a villain, or a symbol– really, he was in the end, just a person. A human, like all of us– full of good qualities and flaws, and he had the fate to play out all of those qualities on the stage of history. So hopefully, you’ll have the opportunity to read more on this experience and my tangled relationship with the legacy of Chiang, soon enough! For now, though, I have mainly pictures to offer from the trip. 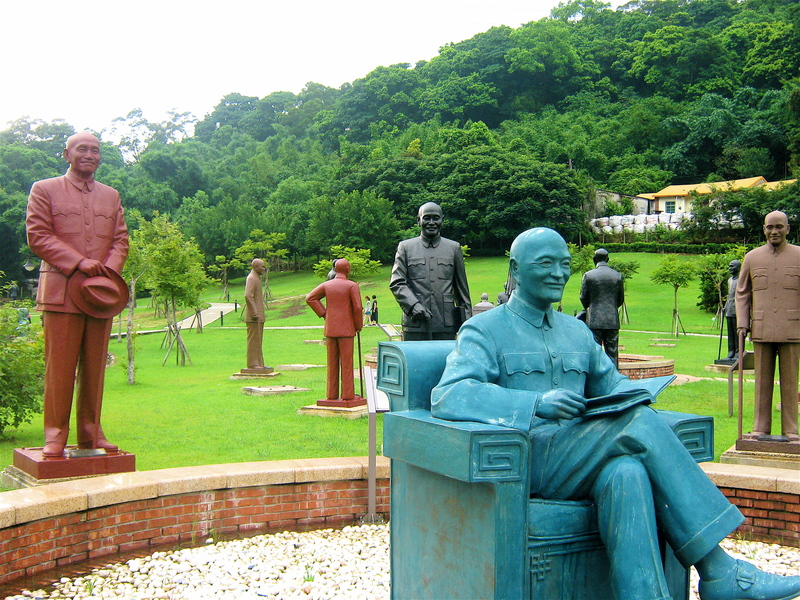 In 2000, when the DPP Party came to political power in Taiwan’s second democratic Presidential elections, the DPP administration offered institutions the chance to remove their Chiang Kai-Shek statues. 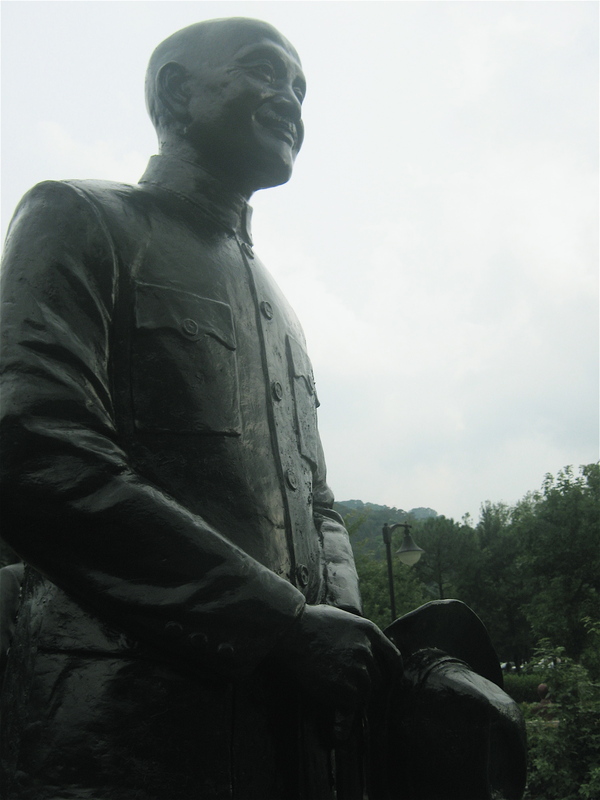 This is an interesting case of saving face in a massively delicate political situation– since Chiang Kai-Shek has been considered Taiwan’s first president, he is commemorated with an enormous Memorial Hall in Taipei, and has been rendered in bronze in statues placed everywhere: in all public schools, colleges, hospitals, and other government-funded institutions. Accepting a Chiang statue, I believe, used to be mandatory. But in 2000, people had the option to get rid of their Chiang! 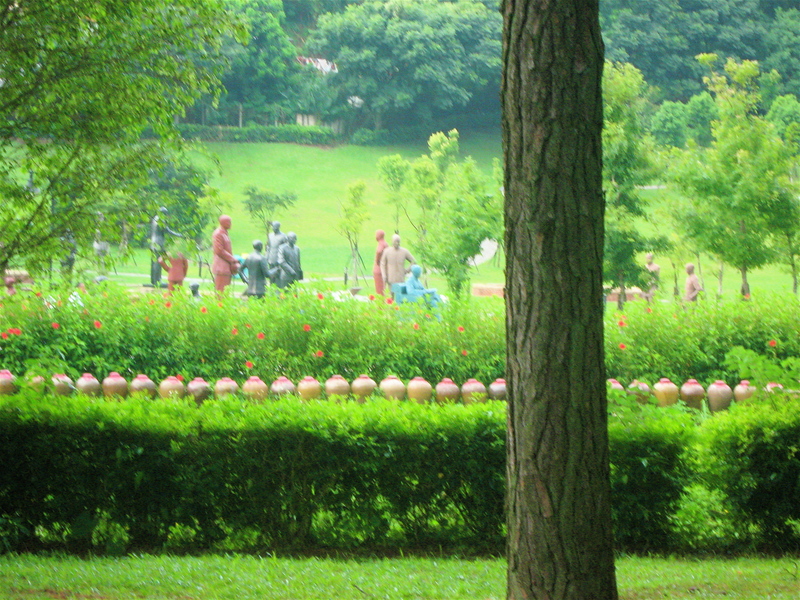 However, I think because it would be a symbolic gesture of great disrespect to destroy the statues or throw them away, the DPP administration and the Cihu Mausoleum Park decided on a compromise: rejected statues could sit in the park of Chiang’s family, not far from his temporary not-quite-grave. And so the garden of abandoned Chiangs was born. 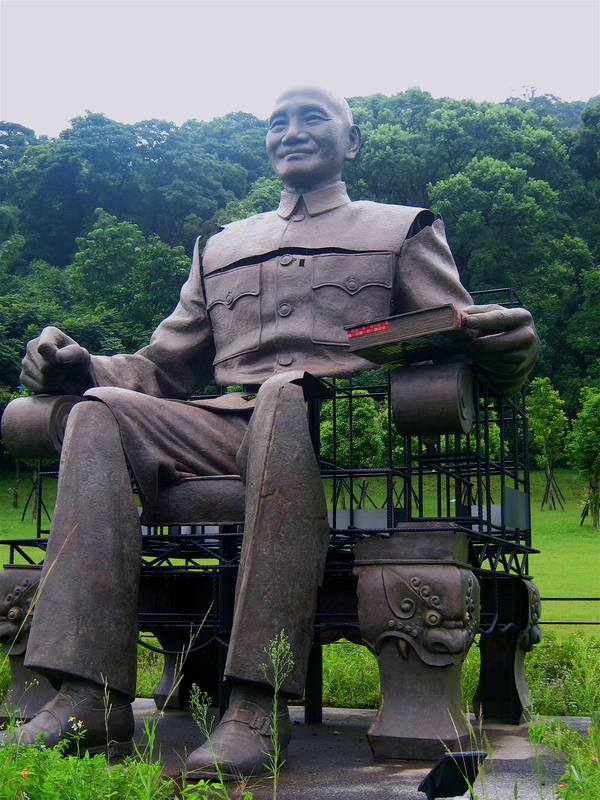 And ironically enough, within the boundaries of this tiny tucked away countryside home, Chiang Kai-Shek is still the emperor of his own tiny kingdom, preserved in bronze and formaldehyde for perpetuity. 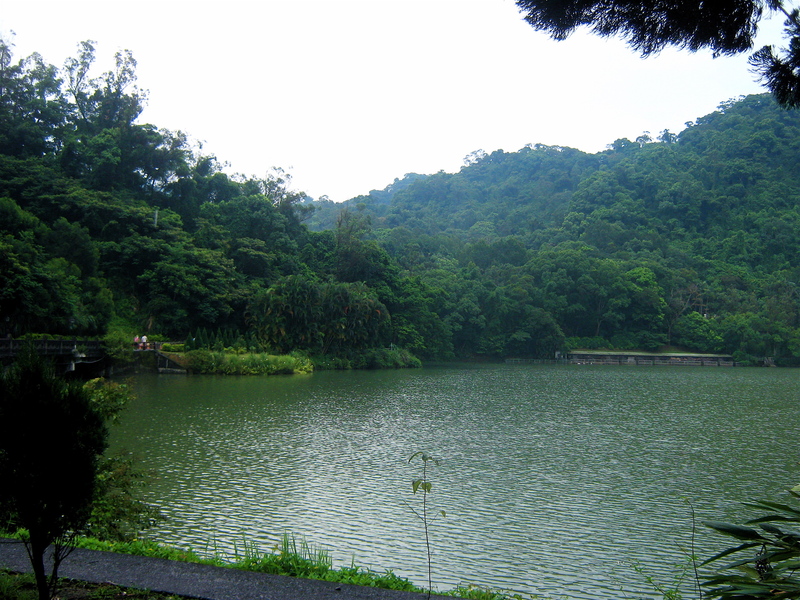 Cihu (慈湖) literally means "benevolent lake" (or maybe more appropriately, merciful pond. Pond of forgiveness? Too big a stretch?) Anyway, this is the "慈湖" on the walk up to the black marble coffin housed in a small, fairly modest building. Here are some visitor’s links and the wikipedia entry for info on how to get to Daxi, where the Cihu Mausoleum is located. My recommendation is to take a train to Taoyuan station, and then wrangle a deal with a cab driver (we managed to get him to take us on the 30 min ride for NT$450, or $15 USD). The local bus to Daxi from Taoyuan, plus the super-local bus FROM Daxi up the mountain (or a $150 NT cab ride from Daxi), is an extra hour and a huge hassle. It’s not exactly an easy public transport commute. Your post has the perfect spirit for what seems to be a most astonishing place! Thank you for the visitor information! This seems like an amazing place to visit. “Sunday in the Park with Chiang” totally cracked me up. Am glad you’re resolving your feelings about CKS, and of course if any feelings remain unresolved that’s totally understandable too. FYI (and you can check with my dad too), I think 慈湖 was named thus because Chiang was known for being very filial pious (孝順) to his mother; the word 慈 usually refers to “mother” (like my Chinese name! ), so the home was named in memory of Mother Chiang. In short, a momma’s boy. We are TopologyTravel and we saw your blog today and so surprised to see there is a so detail information about Taiwan. What you did is really awesome!! We also done a little and We really admire what you did. This is really important to Taiwan. 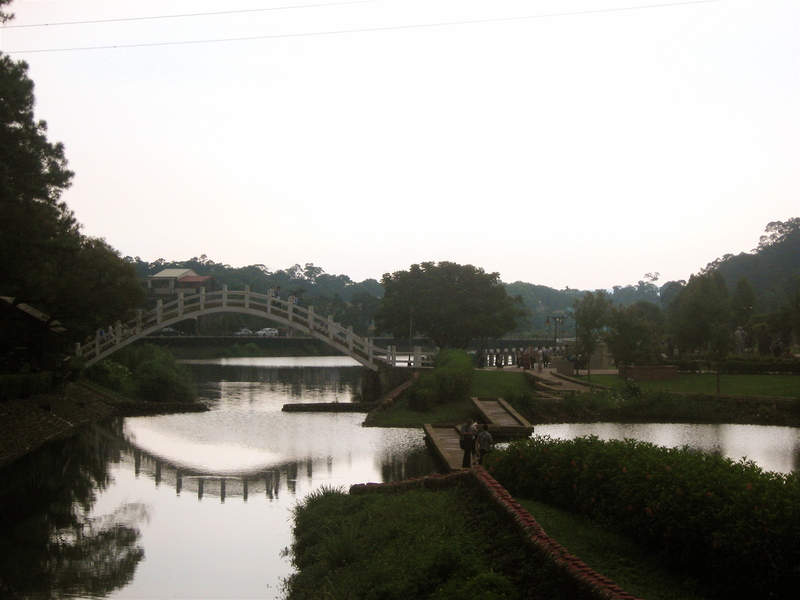 Now we are working on gather the travel information about Taiwan so we are gathering the pictures. 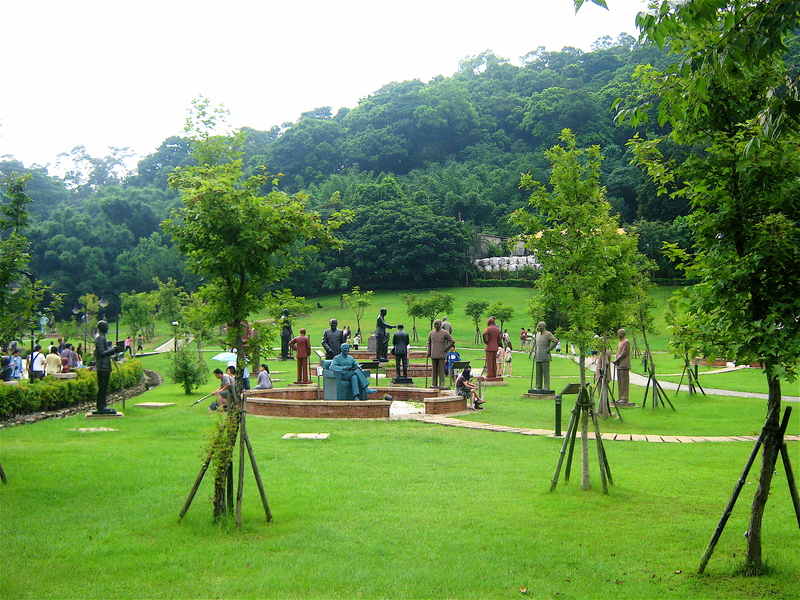 If you are interesting about us, you can simply search “Travel in Real Taiwan” or go to http://www.TopologyTravel.com for more information. Maybe you can give me some suggestions to show the Taiwan to the world.